If you have been following me on social media, you will know that I have recently started making jewelry using my Cricut Explore. 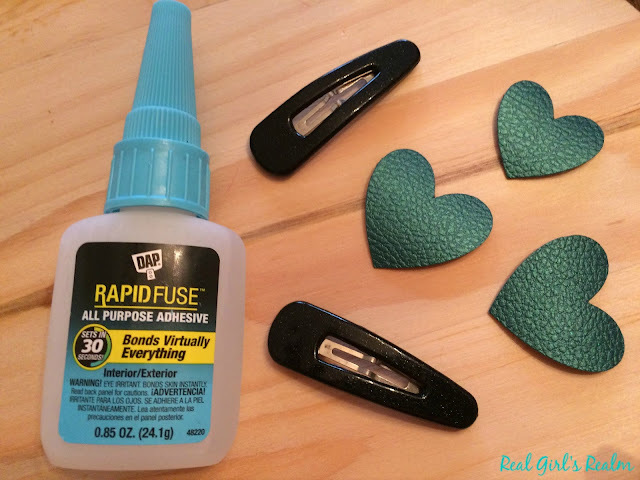 The faux leather is my favorite material to use because it is so versatile. I made these heart shaped barrettes and necklace for my friend's daughter in less than an hour! 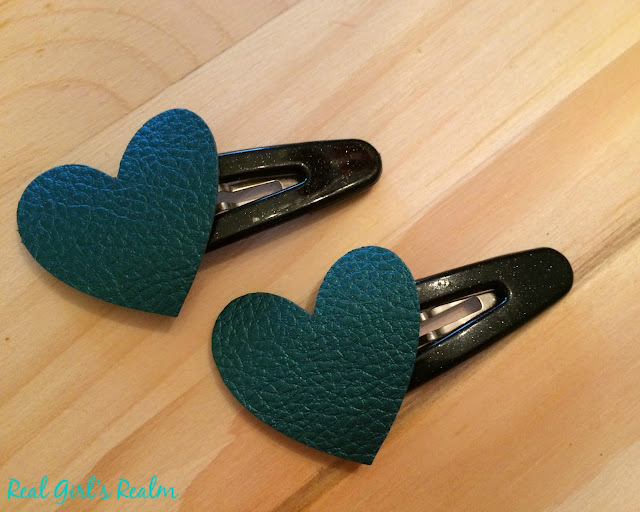 Use the Cricut design space to select the heart shape and size it down. 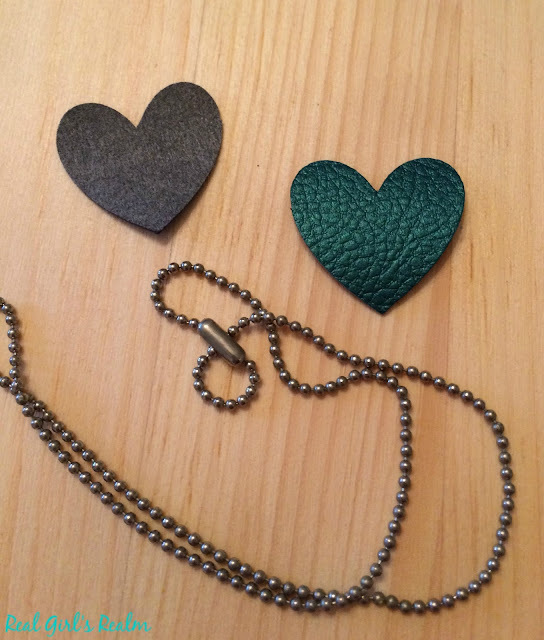 I made these hearts about 1 inch tall for the pendant and about 2 inches tall for the barrettes. You will need 2 of each size. Place the leather on the strong grip mat. I initially tried to use my medium grip mat and the leather moved and messed up my cut, so make sure your leather is secure. 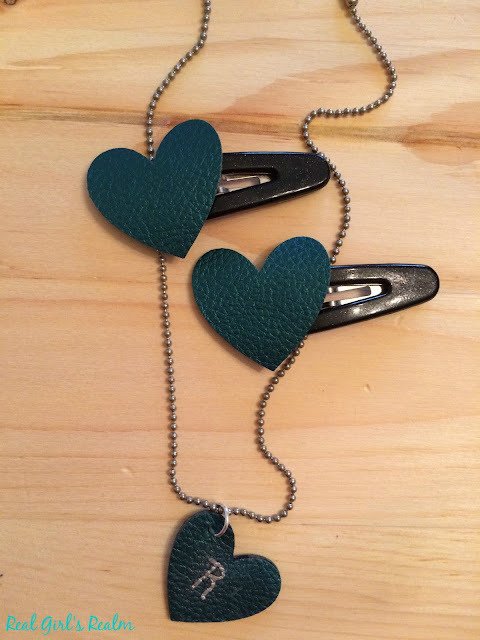 Follow the instructions on the machine to cut the heart shapes out of the leather. For the barrettes, I just put a bit of super glue on the end of the barrette and affixed the heart, letting it dry. To give the pendant a little more structure, I glued 2 heart pieces together and let it dry. Once the glue is dry, poke a hole for the jump ring. I chose to make mine off centered, so the heart hangs diagonal. 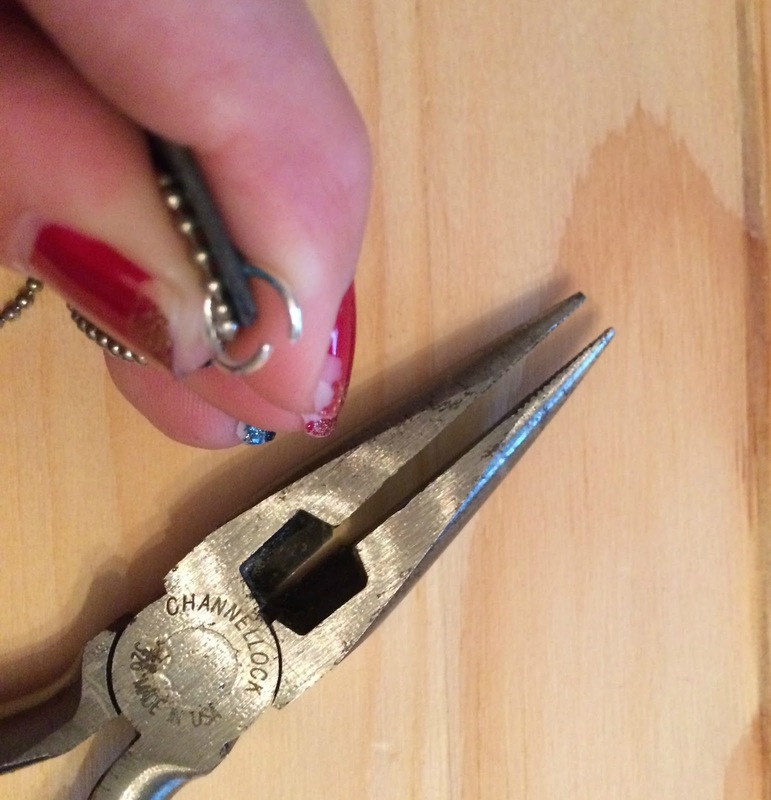 Use the pliers to open the jump ring and insert it through the hole in the heart pendant. Separate it sideways instead of apart, so that it closes back correctly. Finally, I used a metallic pen to write her initial on the pendant, but you can also have your Cricut machine do this, using the pens. My friend Melanie at It Happens in a Blink has a great tutorial on how to do this. I love how this gift turned out and I was able to make in less than an hour! This would be the perfect Valentine's gift for a sweet little girl! What is your favorite leather project, using your Cricut?